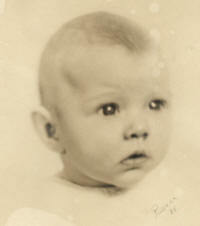 Dorothy Ann was born Dorothy Ann Hood on October 1st, 1938 in Dunn, North Carolina. Her mother was the famous Dorothy "Sunshine" Browning Hood, the adopted daughter of real estate magnate and eccentric millionaire Edward West "Daddy" Browning. Her father, Clarence Bassford Hood, was from an influential family in North Carolina's Harnett County. She was the couple's second daughter. Her earliest years must have been idyllic, with her mother able to grant almost any wish thanks to a sizable trust fund and a doting father free to lavish love and affection on his little girls without the distraction of a "day job". However, he died tragically of a brain hemorrhage when Dorothy Ann was only 5, and that changed everything. Her mother soon remarried a man who was more interested in her money than in the well-being of her two little girls. One can understand why Dorothy Ann married as soon as possible. Despite having eight children in rapid succession, the marriage wasn't successful and Dorothy Ann found herself a single mother trying to raise eight children. That's when her brother, my husband Michael, stepped in, moving in with her and the kids and being there for them for most of a decade. 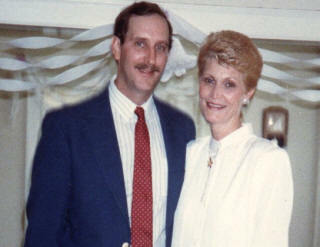 The kids were grown and on their own by the time Dorothy Ann met and married Robert Zembruski in 1988. At last, there was a gentle man who loved and cared for her as she deserved. And anyone who saw the two of them together, knew instantly that Bob adored his bride. Dorothy Ann had learned how to survive by becoming assertive and presenting a strong and sometimes terrifying exterior, but Bob recognized the little girl with the big heart inside. They lived in Connecticut but bought timeshares in New Hampshire and loved to visit, especially when the trees wore their fall finery. Dorothy Ann's generosity extended to sharing their vacations with family and friends; Michael and I stayed with them a couple of times in New Hampshire where we visited such sights as the Flume, the Lost River, and America's Stonehenge. When Michael and I were married in Arizona, Dorothy Ann and Bob flew out to attend the wedding. Afterwards we rented a van and drove up to see Grand Canyon. Dorothy Ann was moved to tears by its beauty, and stood at the Rim sobbing with joy. She loved ice cream. Part of any visit with her was a trip to the store for a few quarts of exotically-flavored ice cream and the eating of it while watching a classic movie on TV. Last year she and Bob traded their timeshare to visit Sedona for a week. We came up to visit their last weekend and took them to Red Rock Crossing, then brought them back to Phoenix and to her sister Surya's surprise birthday party, before they returned to their home in Torrington, Connecticut. The reunion included the girls' unofficial "third sister", long-time family friend Dr. Barbara Lafford. A few days ago, Dorothy Ann was admitted to Charlotte Hungerford hospital after experiencing shortness of breath. She'd had emphysema for years, contracted after years of smoking (begun in the days when doctors appeared on TV extolling the health benefits of various brands of cigarette) and was accustomed to being out of breath, but this seemed worse. Her doctor discovered she had hemolytic anemia, and also (and unrelatedly) needed to have her gall bladder removed. She would need a transfusion first, to bring her red blood cell count up for the surgery. But none of this was serious, just annoying. Michael called her on Tuesday and she was in good spirits. On Wednesday she was moved into ICU when her doctor discovered she'd been ignored by the nursing staff for over 24 hours, not having received her prescribed medications for all that time. Michael was told that cell phones weren't permitted in the hospital, and there was no phone in her room because the doctor wanted her to conserve her breath. 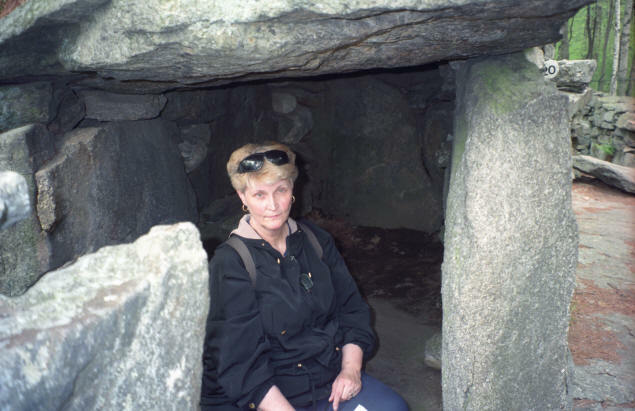 Her oldest daughter, Dotsie, kept Michael informed regarding Dorothy Ann's progress. Around midnight, unexpectedly, astoundingly, Dorothy Ann's heart suddenly stopped. Attempts to revive her were unsuccessful. An autopsy revealed she had perished of a pulmonary embolism. No one was more astonished than the doctor. Services will be held Sunday, September 23, 2007 at Laporta Cook Funeral Home, 82 Litchfield. St., Torrington, Connecticut. If interested, you may call (860) 482-4456. Michael and I will be flying to Connecticut tonight with Surya to be there, so don't look for another blog entry until Tuesday at the earliest.